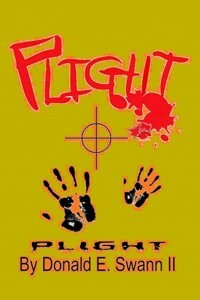 Navigating a dark, international layer of betrayal, murder and inhumane choices as many lives intersect, in a tale filled with horrifying consequence, where FBI Special Agent Dumisuni, has been called in to find a missing teen, but uncovers a larger case of abductions, which may decide the fate of some and the plight of others. A story playing around in my head for a while before I actually took to the computer to write it out, after I was somewhere around 250 pages, I realized it was actually two stories and continued on “Plight”. If that wasn’t enough I actually wrote another Novel, “Black Monday (The White Powder Fund)” in the middle of this one and several short stories, as well. I am glad to have pushed myself to finish and hope just as any aspiring author… for it to be well received. These characters came alive so easily, they almost took on a life of dialogue and decision making of their own. I understood each characters personality and motivations and hopefully it comes across naturally to the audience. “…My new life was to excel in the process of reckoning by way of on-the-job training where my talents were cultivated with a sense of importance while attempting to curb the need for unwarranted executions with the structure and discipline keeping me in line. Though the events awakened a possibility I had not considered, I felt no shame. There was no hunger to find victims and the sought after reputation in the metamorphosis of a young girl from the farmlands so far away. It was the study of psychology which enlightened, or perhaps suckled at the teat of my insidious inauguration where the definitions of most sociopaths could be explained as a life filled with the detached doings of transactions rather than simple wonders of human interactions. Just as most might be born in the conflicting emotional vagrancy of absolute, seeking to ignore the joie de vivre of life’s color, not easily distracted and compartmentalized upon the monochromatic tunnel vision of single mindedness, driven toward the insignificant demise of another, it was not how one might describe the one in one million anomaly, as I was identified as part of a perverse group rather than by my individualism and based on a stigma that did not take into account the one exception, by which we evaluate Darwinist loyalties of the abnormal as untrue. All throughout time it must have been difficult to find an altruistic meaning under the guidance of the barons of misgiving, advocating for unyielding belief while scheming motives hide in plain sight as charlatans of self-indulgent conviction and meandering values make claims and cause death in the name of whatsoever unifies, lending support for the indulgence of a different kind, leveraging kindness while spreading libel on a path to treachery.